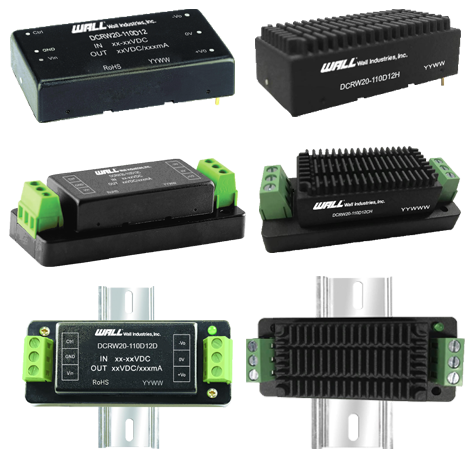 Wall Industries has just introduced the DCRW20 series of isolated and regulated dual output DC/DC converters. The models in this series offer 20 watts of output power in either a through hole, chassis mount, or DIN rail mount package. The DCRW20 series features high efficiency, low ripple and noise, international standard pin out, as well as enhanced isolation. This series meets IEC60950, UL60950, EN60905 safety standards and EN50155 railway requirements. For full series information, visit the DCRW20 series page.